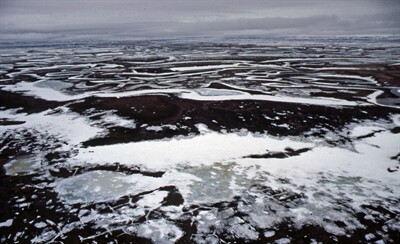 This odd permafrost meltdown is set to affect all of us eventually if it has not already . As winter approaches some might think it is odd to bring up the subject of permafrost melting . But even though it is getting colder it dose not appear to be getting cold enough long enough to stop the most needed permafrost . So why should we be concerned with the permafrost meltdown ? There is actually multiple reasons that will be discussed in this article so grab a hold of your sled and hold on . One might ask these particular questions although they should not be limited to . These are all really big concerns and we should not hold a blind eye to them as eventually this melt down of the permafrost will effect each one of our lives eventually . 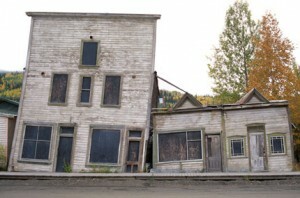 The permafrost melt down immediately effects housing in the permafrost areas . From Russia to Alaska and other places frozen and having permafrost under there feet had built houses within those regions . As the permafrost melts the area sinks and becomes either a lake prone area or mush sinking and cracking foundations leaving many homeless and or scrambling to rebuild . It can be very tough to get supplies into melting Permafrost areas to rebuild . The other issue in this melt down as it affects housing most roads are also effected limiting the ability to get construction material in and out of melt down regions . Also some areas are weather permitted in other words materiel needed to rebuild could be hampered by storms or other conditions . Some of the options that were discovered to rebuild were found not to be sound , they had started a big stillting campaign although they had underestimated the melt down and how deep it would go . Another quick fix was using a chemical that would keep the ground cooler for longer but as I said this was yet another temporary fix . To prove this point please see the following article straight out of the archives of wired I give you THAWING PERMAFROST DESTROYING CITIES . So how is this melt down occurring ? Some of the answers to this question are still theoretical do to the fact we have one earth and most studies are in there infant stages . The first would relate to global warming do to human and industrial activity the second deals with polar shifting but the two could work hand in hand . While the two working hand in hand or separate causes further conditions such as but not limited to glacier breakage and melting which leads to a further meltdown . In order to see information on the polar shifting please see the following video . 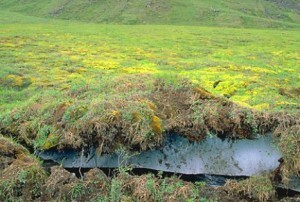 Permafrost meltdown causes a natural escape of methane . Well to consider this there are a few things we should observe and know about the meltdown . Understanding and as you may have picked up from some of the earlier information the meltdown supposedly releases naturally a chemical called methane . Please enjoy the following video on permafrost methane release . This methane release although natural in its essence is the same methane released from fracking facilities around the country . Causing a very high pollutant footprint and enhancing the already overwhelming global warming and health issues . Already as we sit right now our parts per on the pollution scale is threw the roof and they say there is no turning back . To prove this point please see the following article straight out of the archives of engadget I give you ATMOSPHERIC CO2 LEVELS . So I guise the big question is being everyone signed the Paris Agreement will there be a concession set in place for this meltdown in some type of exploitative manner or give some the excuse to show Paris the hand ? So just what is the Paris agreement straight out of the archives of unfccc I give you the PARIS AGREEMENT . Within this meltdown there are some claiming to have an answer please see the following video on the methane harvester . Now if you watched the video and his explanation of the pipelines you may be thinking wait were not sending methane threw the pipelines but after reviewing wikipedia 98% of the flow is in-fact methane . One thing is for sure being some of these items may or may not be theoretical at this time we can not deny the fact that we are in for a rough ride . As well we must ask the question are we to late but at the same time hold close to the fact we should not give up . Knowing well the gentlemen whom created the methane harvester had good intentions let us not fall into the trap of the oil mongers saying this is why they extract in the first place . Many may not remember wen the mainstream media years ago reported that the Russians were thinking of melting the Alaska tundra . This was discussed wen there space station was st the end of its life span thus the international space station was born . Of course this may have no relevance or it may altogether have pertinence as roomer-ed weather and space warfare pokes its head as Eon Musk plains to export millions to another planet . No matter ware you are in the world hopefully we can make the right choices and we are not too late . Have a nice day riding the wave of PERMAFROST MELTDOWN CONCERNS .